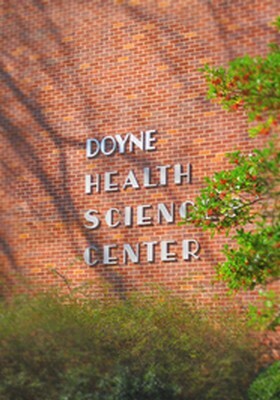 The graduate program in health sciences leads to the Master of Science Degree in Health Sciences. This degree program is delivered totally online. Master’s degree graduates are prepared to assume leadership and supervisory roles in assessing, planning, implementing, and evaluating health education programs in community, school, medical care, and work site settings. Many students use the degree for upward mobility. An undergraduate GPA of 3.25 of higher. Health Sciences core requirements (18 hours): HSC 6379, HSC 6330 (or KPED 6316), HED 6361, 6321, 6331, 5370. For students without an undergraduate course in basic statistics, an additional statistics course at the graduate level may be needed and used as an elective in the program. Electives (18 hours) selected with approval of graduate advisor. UCA students with a bachelor of science degree in health education or related field that have two courses above general education in the sciences will take a minimum of nine hours of electives outside the department chosen with approval of the graduate advisor. All other students will complete the 18 hours of electives in the department. Courses may be selected from the following: HED 5301, 5302, 5303, 5310, 5320, 5343; 5365 or 5665; 6310, 6311, 6345, 6350, 6353, 6360, 6371, HSC 6335. Those with teacher certification may take one of the following: (5350 or 5352). Thesis research in Health Sciences (6 hours): HSC 6380, 6390. Electives (9 hours) selected with the approval of the graduate advisor to include no more than 3 hours from an allied area. Students without prior health education or related field background will complete all the elective hours in the department. All students must successfully complete written comprehensive examinations or present evidence of current CHES certification. The comprehensive exam will be given with the permission of the graduate coordinator or department chair after the student has completed the required core courses. The student will advise the graduate coordinator of intent to take the examination by submitting a request via email. Students with Cs will be required to write their examination after completing all course work.